Easter week events will climax with The Crucifixion and Resurrection in 3D – Act IV, presented by Bishop Moore on Sunday, March 27 at 10:45 a.m. The Youth Ministry’s Easter Program will be presented during Morning Worship services on Easter Sunday at 10:45 a.m. Communion Service will also be on Easter Sunday. To depict the death, burial and resurrection of Jesus Christ. Bishop Moore will be placed in a tomb at 3:00 pm on Good Friday, March 25. 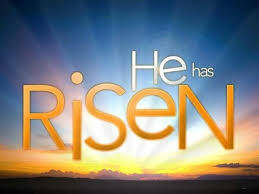 He will remain in the tomb from 3 pm on Good Friday until 3:00 a.m. on March 27, Resurrection Sunday.